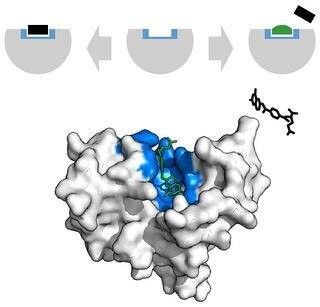 The development of novel enzyme inhibitors has led to effective therapeutic options for diseases that were once considered difficult to treat. A newly updated study by BCC Research finds that approvals of new molecular entities will drive the global market for enzyme inhibitors to $179.9 billion by 2022. Enzyme inhibitors offer therapeutic options for myriad illnesses, including HCV, HIV, cancer, gastrointestinal disease, cardiovascular disease, inflammatory disorders, rheumatoid arthritis, neurological disorders (depression, Parkinson’s disease, Alzheimer’s disease) and diabetes. The global market for enzyme inhibitors has been going through a rough patch. With the entry of generic versions, some types of enzyme inhibitors have lost billions of dollars. Competition among products has negatively affected sales of many blockbuster drugs. Price constraints and cost containment by low- and middle-income countries are constant slow-down factors for enzyme inhibitors, which are usually high-value drugs. As the patent cliff nears an end, market growth is expected to result predominantly from new entrants, including PCSK9 (26.2%), PARP (26.8%), PDE4 (21.7%) and integrase (15.3%) inhibitors, as well as new approvals in older categories of kinase, protease and reverse transcriptase inhibitors. Favorable regulatory changes in developed markets, better healthcare practices (e.g., diagnoses and education along with improved infrastructures) in emerging markets, and increasing participation of governments across all regions will help the market reduce losses expected from patent expiry, according to the report Global Markets for Enzyme Inhibitors. In 2015, the U.S. FDA approved the drugs Praluent (alirocumab; Sanofi US and Regeneron Pharmaceuticals, Inc.) and Repatha (evolocumab; Amgen, Inc.) as the first in a new class of cholesterol drugs called PCSK9 inhibitors. These agents can reduce heart attack–causing cholesterol by up to 60%, but are priced at $14,000 per year. These drugs treat a common condition and need to be taken for the rest of a patient’s life. Giving the drugs to all 9 million eligible patients in the United States could increase the nation’s total health costs by $120 billion, according to a 2016 analysis in JAMA. In December 2017, the FDA granted approval of Repatha for prevention of heart attacks, strokes and coronary revascularizations in adults with established cardiovascular disease. The approval may give Repatha a competitive edge over its rival PCSK9 inhibitor Praluent and help boost sluggish sales. The FDA also cleared Repatha to be used as an adjunct to diet to lower LDL cholesterol in patients with primary hyperlipidemia. Uptake of Repatha has remained slower than expected, due in part to payer pushback against the relatively high cost of the drug. The cost debate over PCSK9 treatment continues, as payer roadblocks to uptake remain in place. According to a November 2017 study published in JAMA Cardiology, less than half of patients newly prescribed PCSK9 inhibitors gained insurer approval. Only one-third actually filled their prescription, which may be due to high copays. Kicking off the New Year, AstraZeneca expanded its agreement with Myriad Genetics to identify women with advanced ovarian cancer most likely to respond to certain medicines. AstraZeneca will use Myriad’s myChoice HRD Plus test to evaluate for whom its PARP inhibitor Lynparza (olaparib) and VEGF inhibitor Avastin (bevacizumab) are likely to be most effective. Use of a companion diagnostic test (such as myChoice HRD Plus) can increase the number of patients who benefit from the medication. The presence of big pharmaceutical companies, a developed regulatory and healthcare infrastructure, and stronger intellectual property protection favor growth of the enzyme inhibitors market in the United States. Emerging markets, particularly the Asia-Pacific region, have shown growth potential in recent years due to rising incidences of obesity, diabetes, and cardiovascular disorders. The need for affordable and innovative medicines is driving growth in low- and middle-income developing countries. For more research and detailed market forecasts, download the report overview for Global Markets for Enzyme Inhibitors [BIO057C].